I wanted a thread for all my Marvel reviews.... I am planning on making another for all my DC reviews as well. As a big fan of the Marvel films I was really looking for ward to this one. Ans it did not let me down in the least. I loved where the story line brought us. The action was great as always. The Stan Lee cameo was bittersweet I loved it... but am saddened by the fact that there could only be but so many more. And WOW what an ending! I so can't wait to see where they go from here! 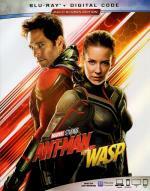 I know all this is a rave review... but for a marvel film it is pretty standard. The evolution story of Marvel's most enigmatic, complex and badass character – Venom! Eddie Brock (Tom Hardy) is a broken man after he loses everything, including his job and fiancé. 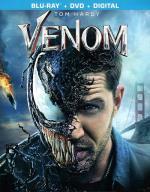 Just when his life is at its lowest, he becomes host to an alien symbiote which results in extraordinary superpowers – transforming him into Venom. Will these powers be enough for this new lethal protector to defeat great evil forces, especially against the far stronger and more weaponized symbiote rival, Riot? I wasn't sure what to expect from this one as my only knowledge of Venom was from a few Spider-Man cartoons. So the thought of a movie for Venom without Spider-Man had me a bit worried. But I really enjoyed every minute of it. The action as well as the exchanges between Venom and Eddie Brock. I think Tom Hardy did an excellent job in this. And I can not wait to see a sequel for this one (hopefully). As I loved the teaser at the end.